We get many interns that come through our bakery door and most of them are American. But occasionally we have students from other countries that have participated stateside at the FCI for their pastry program. Here is a page out of our current intern’s notebook. Here name is Yoko and she is from Japan. Thank you for sharing! 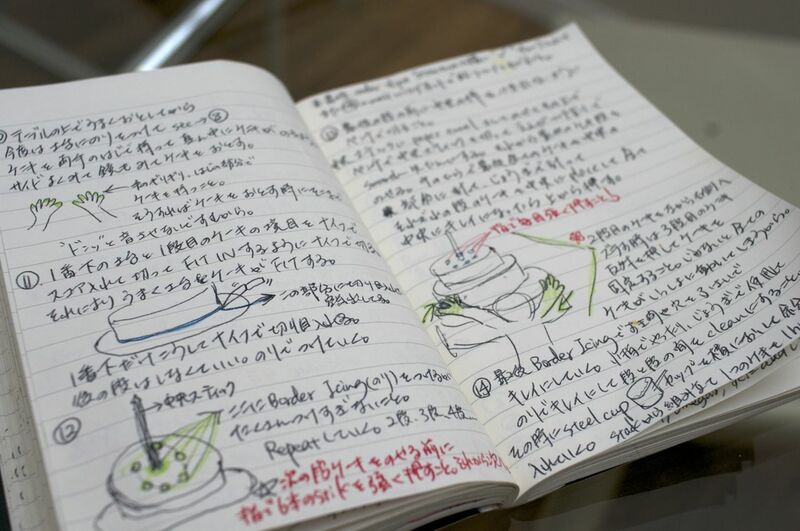 Yoko takes all of her notes in Japanese. ← How does he do that?